First, there was a roar of propellers overhead. Then, a chorus of “oohs” from the hundred-plus spectators at Monmouth Executive Airport. 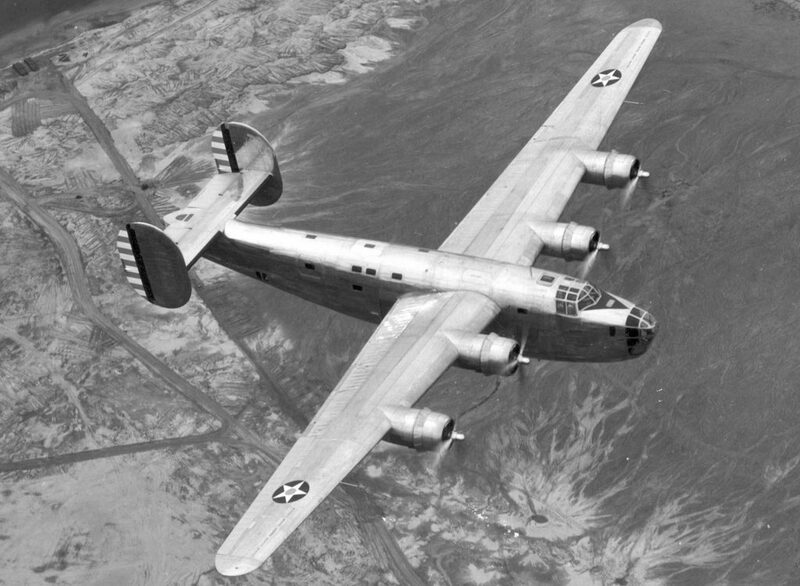 In flew the B-24J Liberator, a World War II bomber with a 110-foot wingspan and 10 Browning machine guns. This was no replica. It actually saw combat in the South Pacific in 1944-45. The B-24 was the first of four rare World War II planes to land at the airport’s Jet Center Wednesday. It was joined by a B-17 Flying Fortress bomber, a B-25 Mitchell bomber and a P-51 Mustang fighter. The traveling exhibit, “Wings of Freedom Tour,” was to be open to the public through Sunday before moving to Philadelphia, Cape May, Millville and Morristown. “It’s living history,” said Ray Phlederer, a Wisconsin native who piloted the B-25. Though all four of these planes were in service during World War II, the B-24 was the only one to see combat. At 67 feet long and 36,500 pounds when empty (max weight: 65,000), it features a top speed of 290 miles per hour and a ceiling of 28,000 feet. Nicknamed “Witchcraft,” it flew 130 combat missions, never turned back during a mission and never had a crewman injured or killed. There were 18,482 manufactured, and this is the last still in the air. Built in Texas, it was transferred to the Royal Air Force in the fall of 1944 and abandoned in a bomber graveyard in India at war’s end. A private collector obtained it in 1981, and it later was purchased by the Collings Foundation, which spent five years restoring 80 percent of its 1.2 million parts. By 1989 the B-24 was back in the air, and its rejuvenation launched the Collings Foundation’s Wings of Freedom Tour. It’s a popular attraction among adults and kids alike, as evidenced by Wednesday’s admiring crowd.